A copy of this page was hended to the Stockport Cycling Officer at the November 2015 meeting of the Cycle User Group. We await any developments. 1. Very dangerous blind junction for cyclists from Thompson Street / Toucan Crossing / Shared path on to wrong-way cycle lane round towards Castle St shops, due to a hedge planted by the school against their fence. Road markings are needed to warn emerging cars. 2. Beechfield Road to Frewland Avenue, Davenport. Dropped kerb needed at Beechfield Road end. 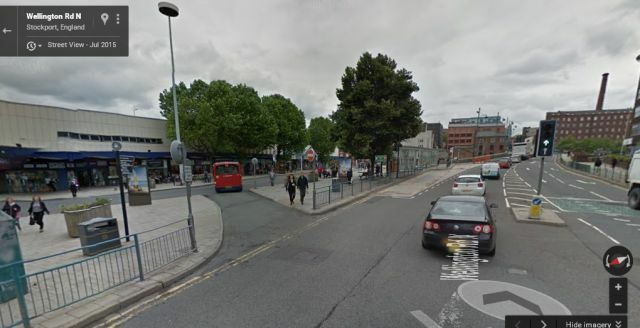 This route avoids the busy junction at Davenport station and needs to be shown on the Cycle Map. 3. Colwyn Road, Bramhall. 'Except for Cycles' on these no-entry signs. 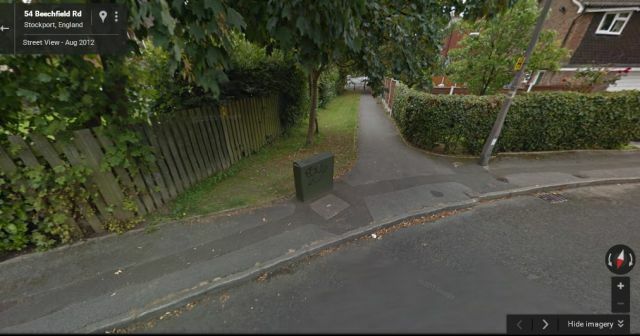 This is a route from Bramhall High school. 4. Wellington Road North to Mersey Square: change 'except buses' to 'except buses and cycles.' 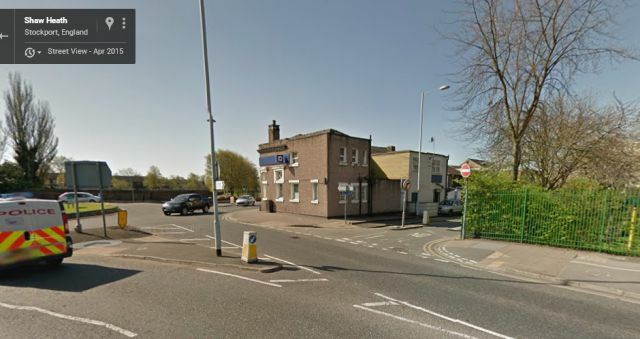 Since extra lanes and refuges have been installed on the A6 this is the only safe route, via Daw Bank, Petersgate and Lord Street to the south. 5. 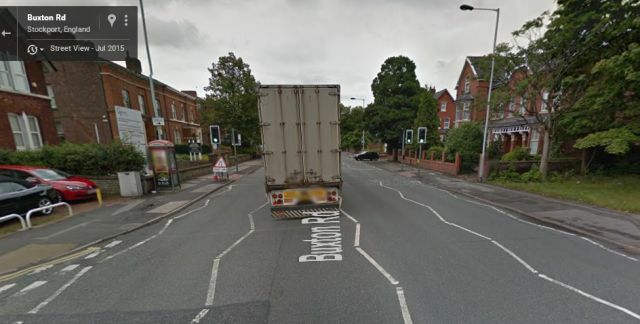 A6 at Winifred Road: allow cycling on footway to reach Toucan crossing and enable right turn. (Ideally get phone box moved) N.B. The shared path signs on Winifred Road are still incorrect after several years. 6. Davenport: Allow cycling on the path from the Crescent to Edmonton Road.